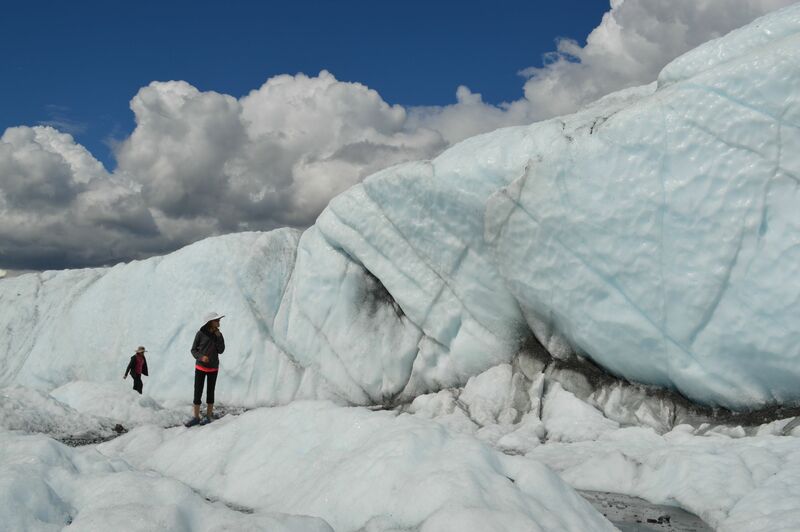 K (Mom): Remarkable experience hiking about the Matanuska Glacier – definitely a trip highlight! E (Dad): Matsu Valley is absolutely spectacular – loads of fun on the glacier – probably one of the best drive segments of the trip so far. G (age 11): Loved hiking the Matanusa Glacier – Dad and C had a contest who could stick their arm in glacial water the longest – C won. C (age 8): Beat Dad by 5 seconds!